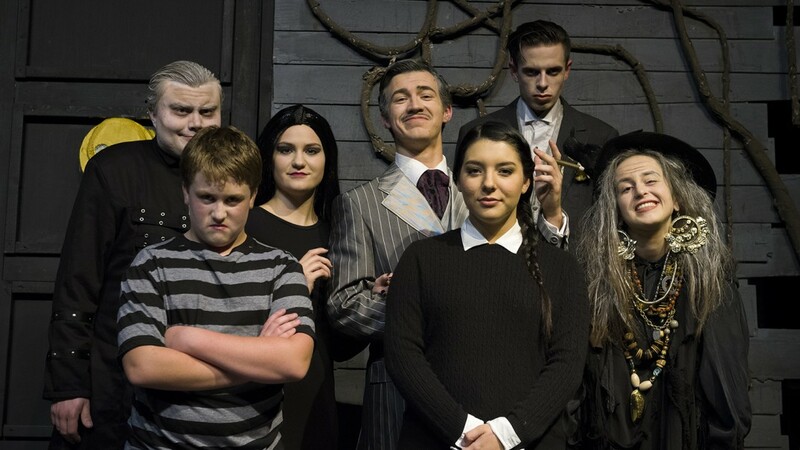 This fall, the theatre program put on The Addams Family musical and it blew my mind. It’s a student production, so basically everything you see, including the set, is student made. This by far is one of the best musicals I’ve ever seen. Granted, I’ve not seen a lot because Houston isn’t exactly Broadway central, but in high school I went to see their plays. The set was so cool, everything moved so fluidly during scene transitions thanks to the cast moving everything. It all went so well together, even before the show started, it just all looked like it belonged there. The cast was phenomenal. The ancestors were so good and added so much to the story. Billy the Kid was hilarious, having good one liners and very noticeable when he spoke out. He was the ancestor that stood out to me. My favorite thing about the ancestors is that they were all evil, horrible or morbid people from history or fiction, like Emily Bronte or Marie Antoinette. I thought it was really cool since the play is focused on the morbid, but I wouldn’t call them evil. The main cast themselves, the Addams’ and the Beinekes were so good. Everyone that was in the play is just so talented and it just made me so happy to go somewhere that encourages this creativity and talent, and works with them. 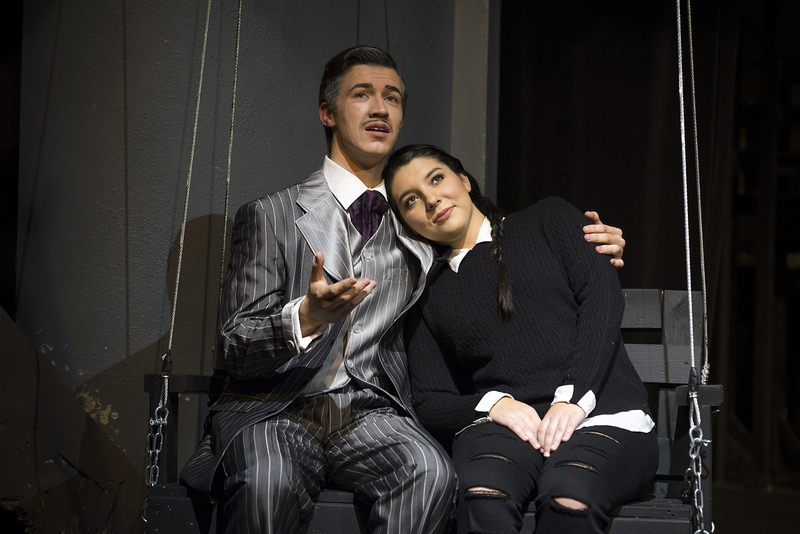 Gomez and Morticia, played by Caleb Schantz and McKenzie Reece, had such good chemistry on stage and I just adore their marriage in the show. Schantz and Reece did a really good job portraying each of these characters and their relationship. They’re also both incredibly talented singers; they each had solo songs in the play and did such a good job. Happy/Sad, sang by Gomez to Wednesday, tugs on the heartstrings of parents, I know if my mom was there she would’ve teared up just a little bit. Wednesday, played by Sydney Mathews, had the best vocals of the show. She had more solo songs, seeing as she’s the protagonist of the show. So, she got to display her voice and her ability more than others and she killed every song. Hands down Uncle Fester, Chase Hendrickson, was the best part of the show. He got to interact with the crowd so much and his songs were so funny. He really moved the plot along in a really entertaining way. The other members in the family were amazing: Lurch, the Grandma, Pugsley were all so good. The Beinekes, the family of Wednesday’s love interest, were great. While they seem normal on the surface, they also have a bit of a weird family history that comes out in the show. Caleb Frank, Court Haygarth and Lara Gatton were all so amazing, but I especially loved Lara Gatton as the mom. She was so funny during Full Disclosure and I just really enjoyed her character. OBU’s theater program is amazing and to be able to put a show this good is commendable. I can’t wait to see the rest of the shows they have planned for the year! My name is Claire Mynatt and I'm part of the class of 2021. I'm an English major with a minor in technical writing. I want to go into Public Relations writing after college. I love Psych, The Office and Parks and Rec. I also enjoy cooking when I can and I love to write. I hope to give you some perspective on what life at OBU is like!